At Fisher Honda we offer a wide range of car repairs and service updates including general repairs and maintenance, Honda factory recalls and warranty service on all models. Whether you need an affordable oil change, transmission service, brakes, or even engine repair, Fisher Honda has you covered. Use our handy schedule service form to set up an appointment and one of our service advisors will contact you shortly. Why service your vehicle with Fisher Honda? At Fisher Honda, you can expect prompt, courteous service and the superior workmanship that your Honda vehicle deserves. The customer is our number one priority. Whether you are visiting us for routine repair or maintenance for your Honda Civic, our service professionals are ready to assist you. We know that when your car is down, it can be a major inconvenience. This is why we provide fast, high quality services at reasonable prices. 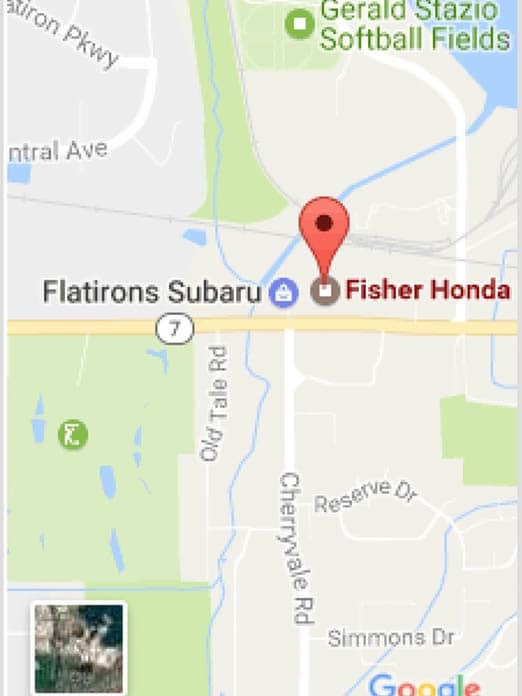 Contact Fisher Honda today for all your automotive service needs and be sure to check out our reviews on Google. Fisher offers free shuttle rides within a 15 mile radius, so you can drop your car off in the morning and get a ride to work, or drop it off in the evening and let us take you home. There are also several restaurants nearby, as well as the shops at the 29th St. Mall. We also have free loaner bikes for you to use, so you can hit the nearby trails and spend some time enjoying yourself outdoors. If you’re only going to be here for a short while, we have a kids’ play area, as well as Wi-Fi access and business stations. Fisher Honda is dedicated to providing you with Genuine Honda Automotive Parts, as well as the most complete inventory. We stock and sell GENUINE Honda PARTS.